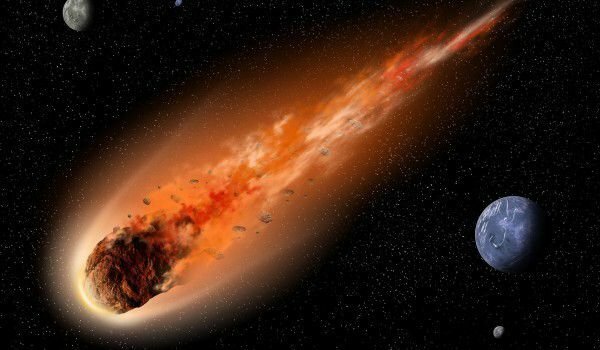 »What are the Superstitions about Comets and Asteroids? Comets are small astronomical objects from the solar system composed of dust, impurities from different minerals and rock. They lie at the core of many superstitions and significant historical events. People from many cultures believe that comets are a harbinger of evil, an omen of devastating events yet to occur. Ancient books link comets with all sorts of disasters - wars, the downfall of conquerors, extinction of animal species, a shortage of basic foodstuffs. The eeriest superstition has to do with Halley's Comet, the belief being that England was taken over by William the Conqueror in the distant past because of it. In many religions it is believed that the Last Judgment will be foretold by a comet. Halley's Comet is perhaps the most mysterious of all comets. It passes by Earth every 75 years and if it has a long tail when it does, the belief is that war is coming. For centuries on end people thought that comets were harbingers of God's wrath, believing that their unexpected appearance was a sign of terrible ruination to come. Some believed that the destruction primarily concerned the ruling class - a comet meant that a king would die. As far as asteroids go, any worry is well-founded; many scientists confirm that dangerous climate changes would ensue should an asteroid hit Earth.